Noble and devout, Ambrosio is the abbot of a Spanish monastery and spends his days in prayer and preaching. 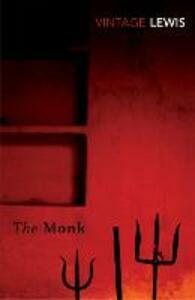 However his monastery is harboring a malevolent force in the form of a young monk called Rosario. Rosario attaches himself to the abbot and then one fateful night reveals that he is in fact a beautiful woman in disguise. From this moment on Ambrosio finds himself seduced into a lurid maelstrom of sin and vice that it is impossible for him to resist.